Christopher Turkel was born in Brooklyn, NY, the son of a journalist and a stay at home mom. He has lived in Florida, California and Taiwan. He comes from a family of writers, following in the footsteps of his father, aunt and grandmothers. Christopher was given a typewriter at age thirteen and proceeded to write his first novel, a pastiche of the Narnia books, in one day. Despite being all of three pages long, his father kept encouraging him to write. Christopher works as a technical writer for a nonprofit and enjoys the works of Gene Wolfe, Lawrence Watt-Evans, Steven Burst and Kurt Busiek. When he is not reading, writing, or working, he is eating and sleeping. 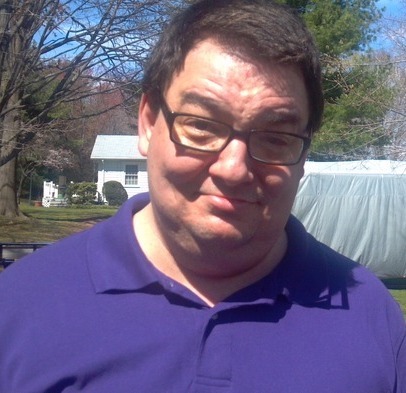 He resides in western Massachusetts with his wife Joann, two cats, and a dog. I have to admit that when I started writing Ouroboros, I had only a vague idea of what the world my hero Thomas lived in was like. I just knew certain things: humans were a minority, and Thomas lived in an empire ruled by a longer lived human-like race, the Prakani. World building is something I enjoy doing. I started world building when I played role-playing games in the early 80s, and I haven't stopped creating worlds to tell stories since. 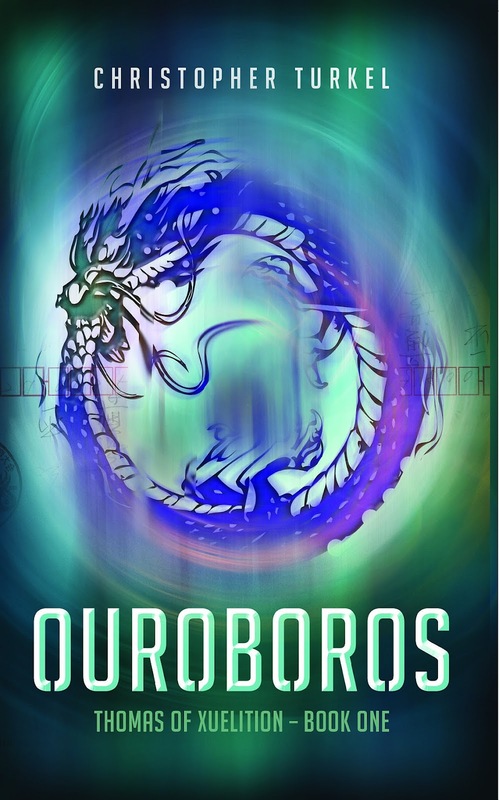 For Ouroboros, I wanted a world that would be a character itself, something whose mechanics played a crucial role in the story, something that would seem like a real place. The first thing I did was ditch western Europe as a model. It didn't fit, and I was lazy about keeping track of seasons. I turned to Florida as my inspiration. I lived in Florida for ten years. Florida only has two seasons: a hot, rainy season and a cool, dry season. My world would have a climate similar to Florida, though not with the same subtropical flora and fauna. With that decided, other things fell into place. People would dress light - no heavy materials for clothes. Rivers would run lower during the dry season, crops would be abundant, and buildings would be built to ensure comfort during the rainy season, yet could be readied for the cooler dry months as well. The main race of my world is called the Prakani - who are of human stock but live three times as long as humans. Thousands of years ago, a stone fell out of the sky, changing their DNA and granting anyone within it's area of effect a new, more powerful magic I called abjuration. This magic only works in the area effected by the stone, and the area became the Prakani Empire. It also set off a cultural change in the Prakani who decided to leave behind their nomadic past, and all its reminders - like facial hair and eating most meats. The humans they subjugated were regarded as barbarians - useful sometimes, to be tolerated because they did many things the Prakani would not do, such as sweep streets and man ships. Though adjuration is more powerful than human magic, it only works in a certain area. The Prakani call those areas where it doesn't work Dead Zones and usually avoid them. Human magic works everywhere, a balance I decided the world needed. The Prakani might be powerful, but they won't be conquering the world anytime soon. Humans are far more numerous, but they wont be over running the Prakani Empire anytime soon, either. I also decided that the Prakani name their children different than humans. Humans use English names like Ralph, Thomas and Robert. The Prakani used names like Jerrel, Gavin and Issla. The two races can interbreed but this is considered taboo by both. A well-constructed world can affect a story in interesting ways. In Ouroboros, Thomas goes after a Prakani hiding in a Dead Zone - something no Prakani would do willingly. This was his first clue things were not as they seemed. Along his travels through the Prakani Empire, he encounters the little, everyday discrimination that humans put up with - like Prakani not wanting to share information with an inferior race - which made Thomas getting the information he needed difficult. A well-constructed world is fun for the writer, but more importantly, fun for the reader. I hope you enjoy visiting my world as much as I enjoyed creating it. 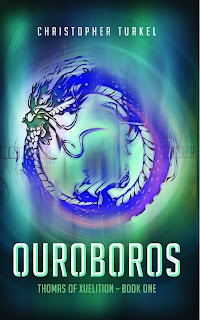 You can keep up with Christopher and Ouroboros on his Blog, Twitter, and Goodreads.